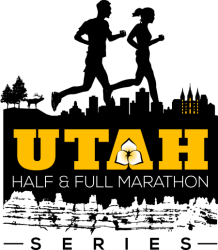 The Parowan City Half is now a qualifying event for the Utah Half and Full Marathon Series! Click HERE to learn more. The Parowan City Half Marathon - Yankee Meadow Run is one of the most beautiful runs in all of Utah. The race starts on the south side of the beautiful Yankee Meadow Reservoir in the Yankee Meadow Reservoir Recreation Area. This year the race will be run on August 3, 2019. We will also be having a Yankee Doodle Dash for children and a Rebel 5K! Both with start at the Iron County Fair Building. Brian G. has run 1 times 2/2 found this review helpful. The sunrise at the lake before the start of the race was amazing both years I ran. This is a fun, fast, downhill course that is not over crowded and has amazing views the entire time. Alysha E. has run 2 times 2/2 found this review helpful. This was my first half-marathon and they really put the expectation high after it. Even those the race landed up having to move the course due to weather issues a week before taking out the road, it was still well organized. Also landed up being a beautiful view starting off. Great race - can't wait until the 2018 race. Christina G. has run 1 times 1/1 found this review helpful. View all Parowan City Half Marathon Yankee Meadow Run reviews. Based on a 5 year average and a race date of August 3rd, Parowan, UT can expect temperatures between 67℉ and 89℉ with humidity around 66% and precipitation of 0.04". Raceentry.com also cannot attest to the validity of individual Parowan City Half Marathon Yankee Meadow Run reviews. All of the information about the race has either been supplied by the event staff or can be modified at any time by their race management. 2019 Parowan City Half Marathon Yankee Meadow Run registration details are only as accurate as the event has made them.